This textbook teaches students the principles, materials and applications they need to understand and analyze heat transfer problems they will encounter in practice. The emphasis on modern practical problems (including thermoelectric cooling) in numerous examples, sets this apart from other titles. 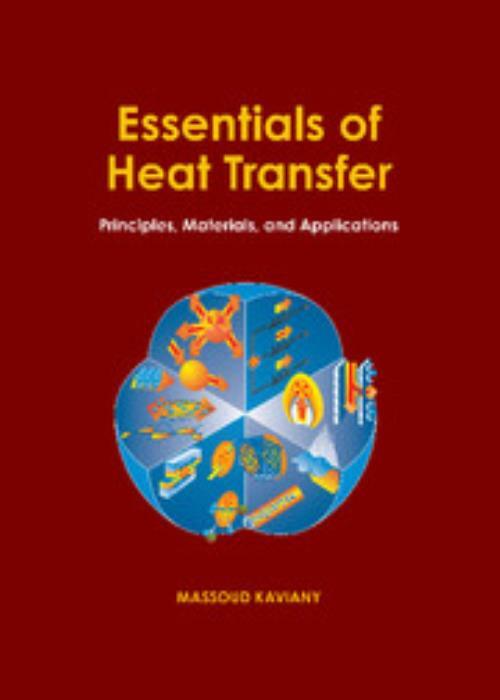 This book discusses heat transfer problems (in search of innovative and optimal solutions) and the engineering analysis, to motivate fundamental principles and analytical problem solving methods. By introducing heat flux tracking, students develop intuition about the central role of heat transfer in engineered systems. The energy conversion mechanisms (to and from thermal energy) are integrated into the treatment, thus allowing for realistic design of thermal systems. Microscale heat carriers are also covered. MATLAB® software is included, along with other rich materials available on the website, [external URL] A complete solutions manual for the numerous exercises is available to qualified instructors. 8. Heat transfer in thermal systems. Massoud Kaviany University of Michigan, Ann Arbor. Massoud Kaviany is a Professor of Mechanical Engineering and Applied Physics at the University of Michigan. He is a Fellow of the American Society of Mechanical Engineers (ASME) and the winner of ASME's Heat Transfer Memorial Award (2006) and the prestigious James Harry Potter Gold Medal (2010). He has won the Teaching Incentive Award (1999 and 2000) and the Education Excellence Award (2003) from the College of Engineering at Michigan. He is the author of four books: Principles of Heat Transfer in Porous Media, 2nd Edition (1999), Principles of Convective Heat Transfer, 2nd Edition (2001), Principles of Heat Transfer (2001) and Heat Transfer Physics (Cambridge University Press, 2008).